All those people telling you that you can’t make money with music are right. … if you believe them. Really that’s what it comes down to right? B-e-l-i-e-f with a capital B. But it didn’t stop Ed Shereen from pursuing music. Didn’t stop Corey Smith (who’s made it happen and turned down record deal in the process). Didn’t stop Jack Conte (Pomplamoose) – who is now helping thousands of artists make money via Patreon. And Jack White, OK Go, Avicii, and one and on and on. They didn’t listen so I figured, why should I. And hell, why should you. With out belief you have nothing. Zero chance. 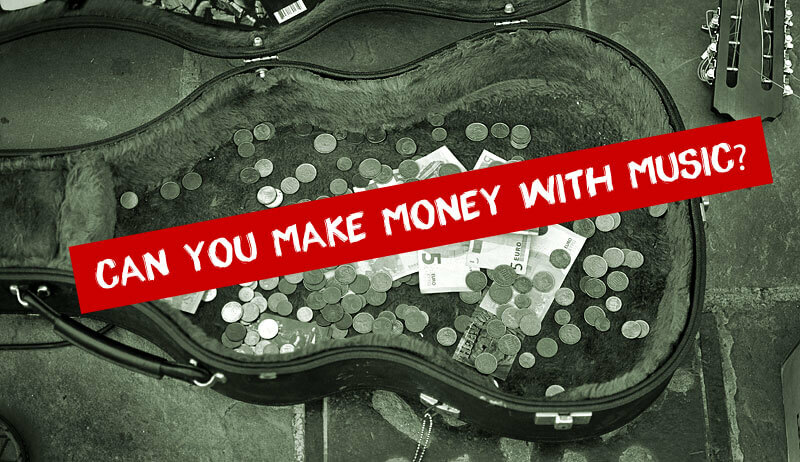 But if you believe plus you are making good music – and you have people besides your mom telling you that you make good music – then the next step is figuring out how you can make money with it. If you do a good job at doing those things, you will increase the chance that people will buy your music. In fact, I am getting $5, $10 and $20 PER SONG and I don’t even charge (I use the Name Your Price model). That didn’t happen over night and it took a lot of poking and prodding but its something right? Something I can use for my next recording session. Something I can use to do a little more marketing. And above all, something I can use to keep the fire of belief a-burnin. I’ll leave you with a few lyrics from Mr. Nick Shattucks AWESOME freakin song Follow That River. When I feel like a pile of dog crap after a crap show or when I’m in a why-the-hell-do-I-bother fog, this tune brings me off the ledge every time. Follow that river baby, follow that river mama. Click here to go listen to it right now. Hey Corey, I just discovered your blog searching about stuff regarding the music industry. I really like your approach and I’m surely going to come back to read more. About this post, I had’nt considered the “name your price” strategy which as I see now is a pretty good way to go. I may try it on the future and recommend it to people I know may benefit from the strategy.